Little League Baseball, Inc. is a non-profit organization whose mission is to "promote, develop, supervise, and voluntarily assist in all lawful ways, the interest of those who will participate in Little League Baseball and Softball." Through proper guidance and exemplary leadership, the Little League program assists children in developing the qualities of citizenship, discipline, teamwork and physical well-being. By espousing the virtues of character, courage, and loyalty, the Little League Baseball and Softball program is designed to develop superior citizens rather than superior athletes. Coginchaug Little League board meetings normally are held on the second Tuesday of each month at 7:00pm at the Middlefield Community Center (Oct-Mar) and at the Atwell Field PA Booth (Apr-Sept) and are open to the public. We welcome new board members and hope to see you there! Team and Individual Photos will be taken prior to Opening Day Ceremonies on Saturday, April 27. You can pre-order photos using the link below up to Friday, April 26 at 5 PM. You can also get an order form from your coach. They will be available on site, but please try to come with a form or order in advance if you can. Please try to attend for your team photo, even if you do not plan to order individual prints. Please see the schedule below, listed by Level and team managers name. Ceremonies begin at Noon with the Parade of teams. All players are encouraged to stay for the ceremonies. There are baseball games at 10 AM, and 4 PM, and Softball at 1 PM. 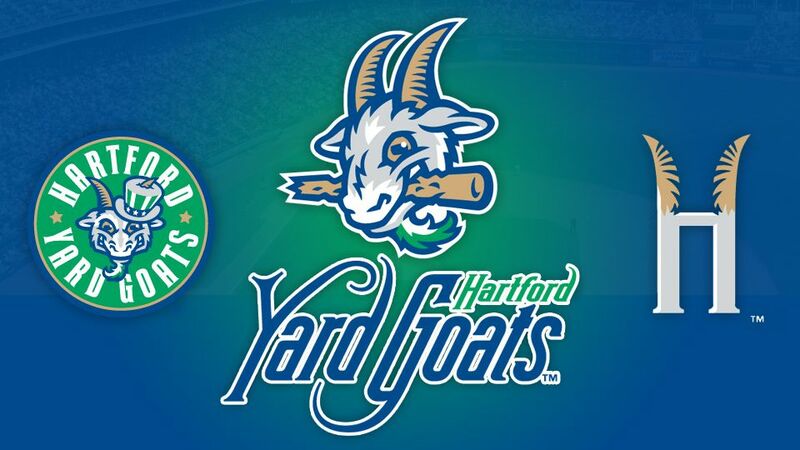 Coginchaug Little League has reserved tickets to see the Hartford Yard Goats on Sunday, May 12. They are playing the Harrisburg Senators. Game time is 1:05pm and the gates open at 11:30am. As in the past, Coginchaug Little League will participate in on the field festivities prior to the game. Chaperones will be needed. If you haven't been to a game yet at Dunkin' Donuts Park, this is a great opportunity to get out there. Tickets are only $10 each and supplies are limited. Tickets will be available for pick up at concessions. We are eager to start the season and look forward to working with the girls this year. As a board, we have met, and discussed that pitching is a very important aspect of the game at every level. In order to get started in pitching, it helps to have an experienced coach to work with girls to set best practices with form and fluid motion. This year, we are offering a FREE clinic to minors level players that have little to no experience pitching but have a serious interest. We have set up clinics with a seasoned college pitcher to help the girls jump start their experience. These clinics will begin on Wednesday March 27th from 5:30pm to 6:15pm. They will run for 5 consecutive Wednesdays ending on 4/24. After these clinics, the coaches will reach out to see which girls continue to have interest, and decisions will be made on the possibility of continuing lessons during and outside of regular team practices. If you have any questions and are interested in signing up for these pitching clinics please reach out to Chris Costa @ or calling 860-449-4125. There will be a limited numbers of spots for this opportunity, so please reach out as soon as possible, as we expect these spots to fill quickly. Registration for Intermediate 50/70, Majors, Minors, Farm and T-Ball levels of Little League baseball and softball is now open on the Coginchaug Little League website. All residents of Durham, Middlefield and Rockfall, league age 4 through 13, are eligible to register for the 2019 season. Late Fees apply to most programs, beginning March 1st, so please register before then. You can see the late fee dates listed in the description for each program when you click on the REGISTER ONLINE tab on the left side column of the home page. You will need to determine your players 'LEAGUE AGE' which is not always identical to their actual age. A chart of league age for baseball and softball is available on the DOCUMENTS tab on the left side column of the home page. Match your child's birth month with the chart to see what LEAGUE AGE they are for 2019 Season. NOTE Tee-Ball is considered a BASEBALL division for both girls and boys, so use the baseball chart if you are 7 or under to determine exact league age.